Does anyone else wear florals in the Fall? Most of the time it seems like it's just me. But you know what? 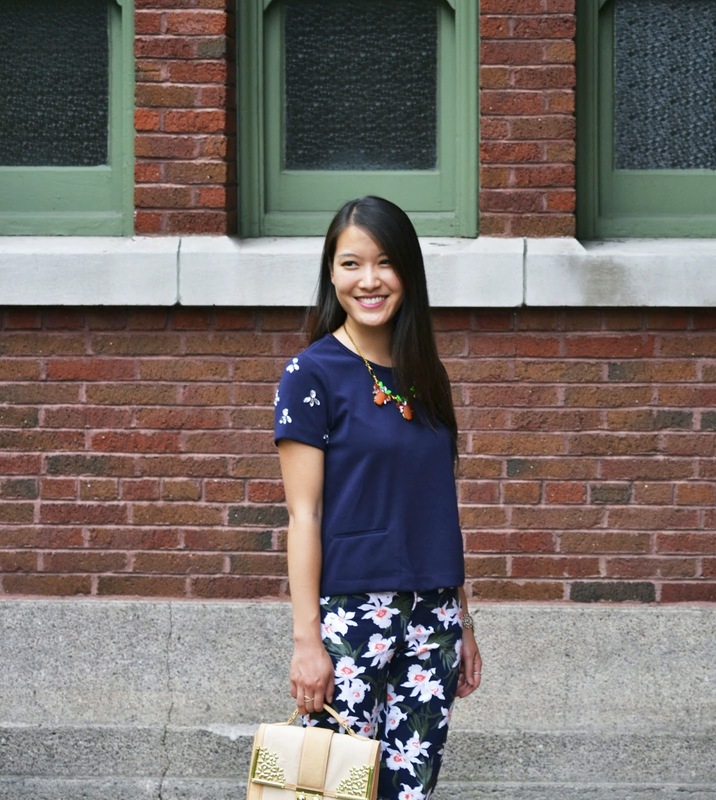 I love floral prints, so I'll wear it when I want to! Bold and colorful florals may not be for everyone, but there are always neutral florals or simple floral gem embellishments if that's more your style. Literally everything about this outfit is perfect! 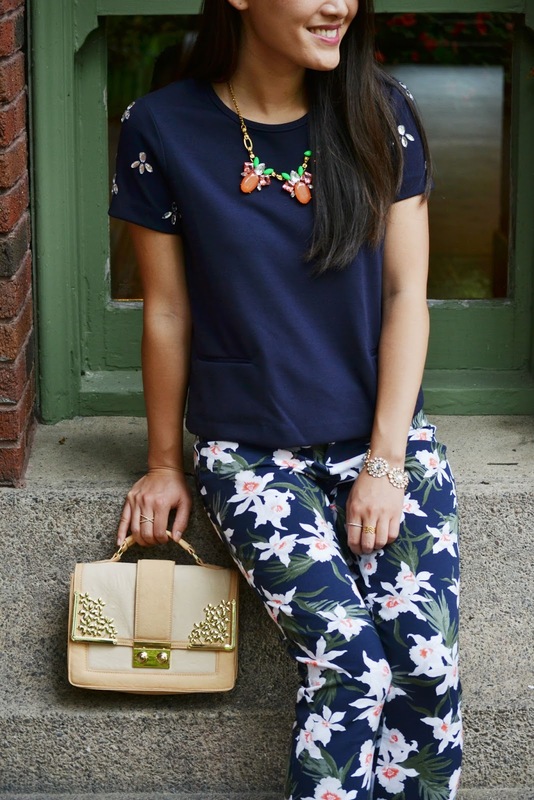 I love how the bold floral pants tie into the little gem details on the sleeve of your shirt. And that bright necklace is a perfect touch! 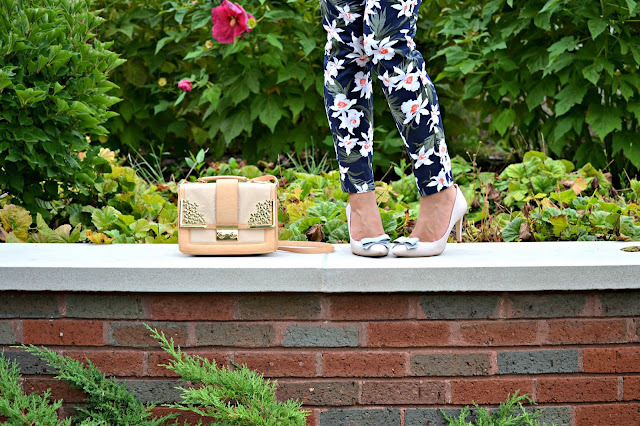 I love florals in the fall, I just wish I had more that I could wear in the cold weather! Those pants are beautiful, and that price tag isn't so bad either:)! 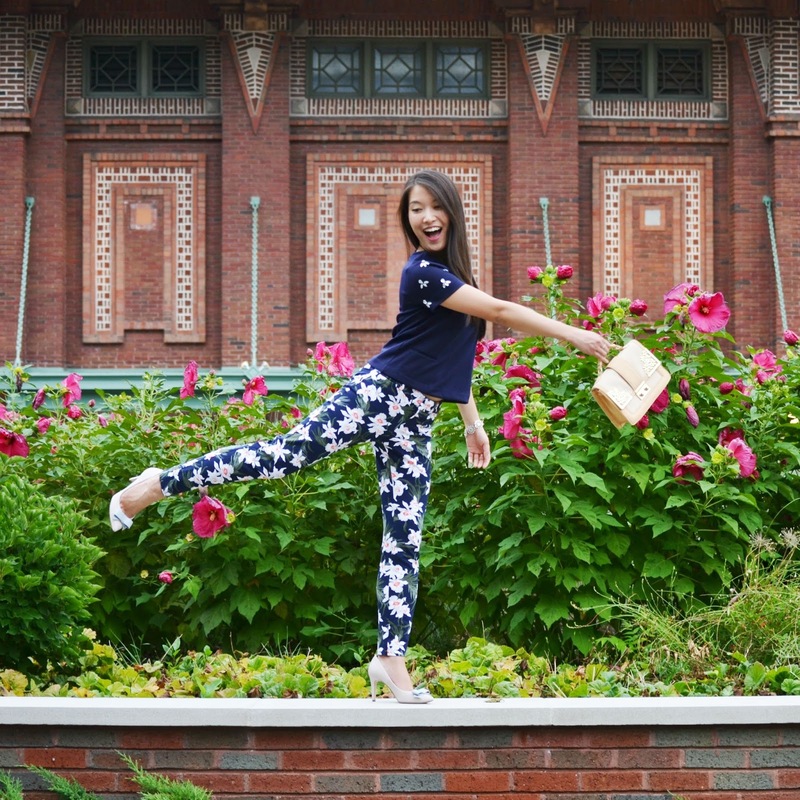 The floral pants are so fun. They look great for fall. 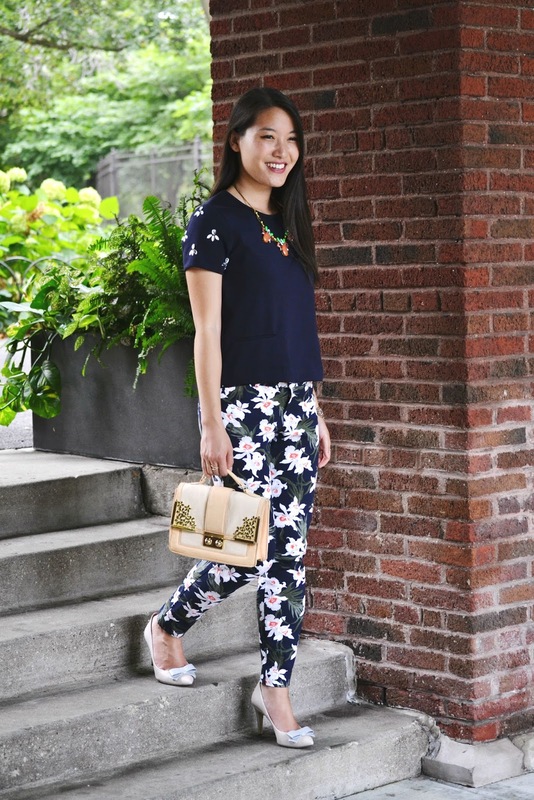 Those pants are so fun and loving the floral sleeve on your top too. I do love wearing darker florals in the fall. I think a lot of people wear floral during certain seasons. 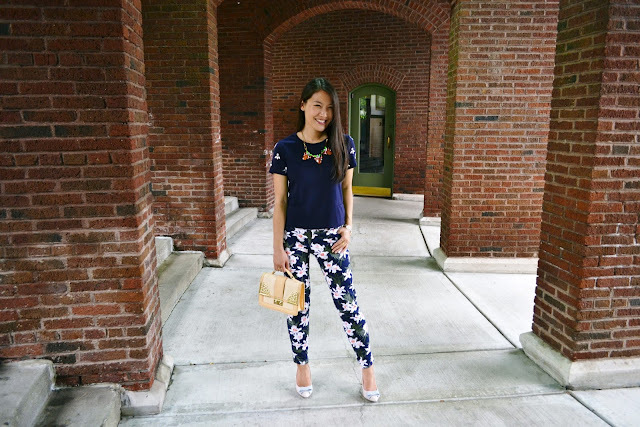 I love floral print and wear it all year round!